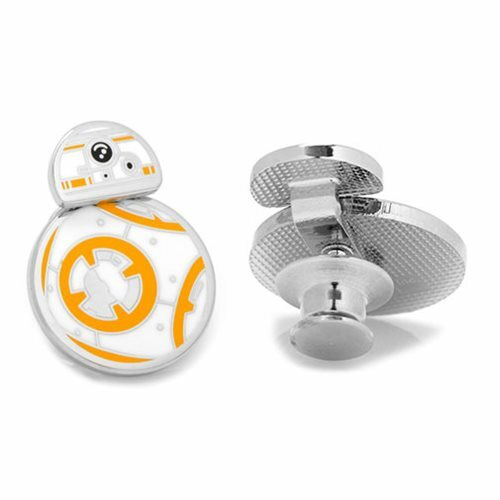 If you love the quirky BB-8 drone from Star Wars: The Force Awakens, you will love this Star Wars BB-8 Spinning Lapel Pin. Featuring BB-8, who spins to simulate movement, this pin is a great way to show off your fandom in a classy way. This high quality lapel pin with a playful undertone, is made of silver-tone base metal with intricate enamel details. This pin measures approximately 1-inch tall x 3/4-inches wide and has a clutch back closure.